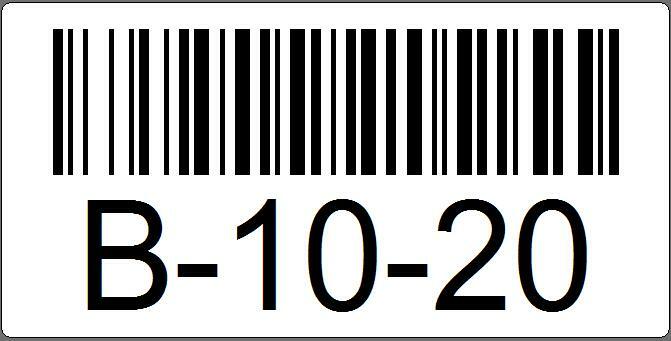 Barcode Datalink can print barcode labels for you! 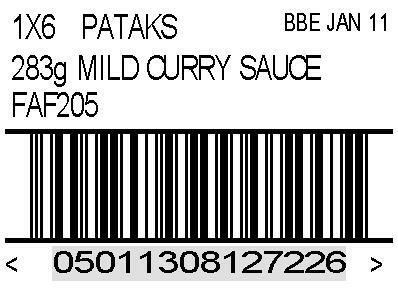 Barcode Datalink can over-print sticky labels for you quickly (often same day for small print jobs), cost effectively and we know our barcodes will pass GS1 testing! 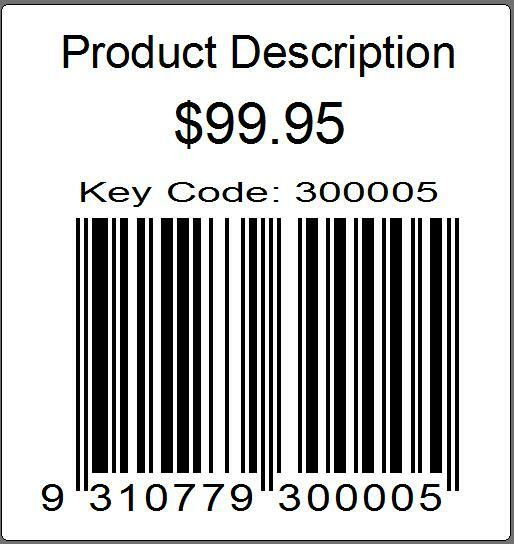 If you don't have your own EAN barcode for Australia, click here to go to GS1, join and get your barcode number. Once you have that, come back to us and we can print them for you. 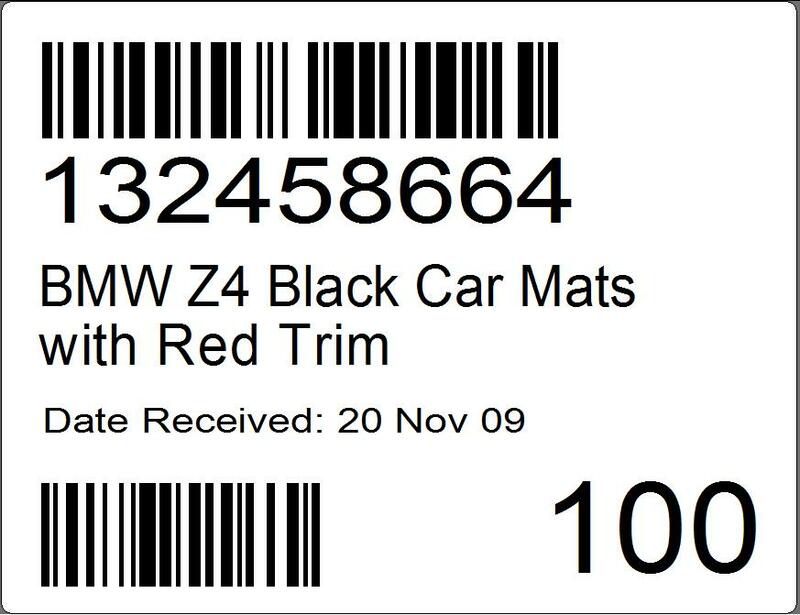 Printing and applying your own label to incoming pallets of goods means that when you want to move the pallet of goods or stocktake it, you now simply scan two barcodes to capture the data. 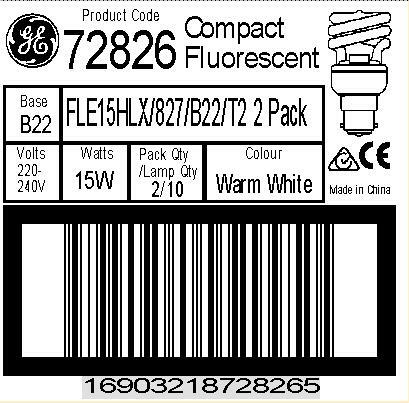 Ideally if you do pick product from the pallet, say 20 pieces from the example below, you would reprint a new label with the new count of 80. In some cases this might not be possible, so the warehouse staff should cross off the '100' and at least write the new count on the label. 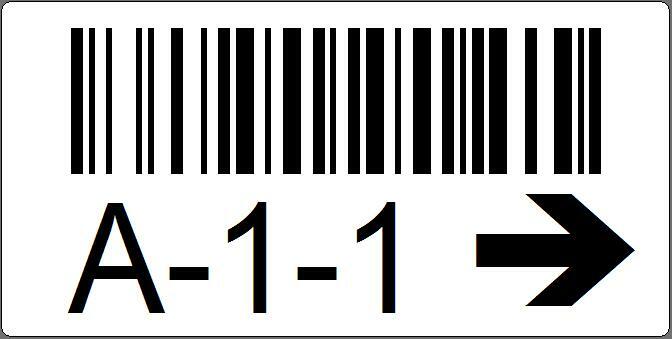 This label has an Interleaved 2 of 5 or TUN (Trade Unit Number) 14 digit barcode. Ideal for labelling your bin locations in your warehouse. Brings your warehouse one step closer to using mobile computers for stock taking and inventory management. These labels are ideal for the beam. Common question that is always asked - can I read the barcode on the higher levels when standing on the ground. If you have a long range laser scanner it is possible. However in reality with pallet over hang, loose stretch wrap and the acute angle in a narrow isle it isn't really particle. 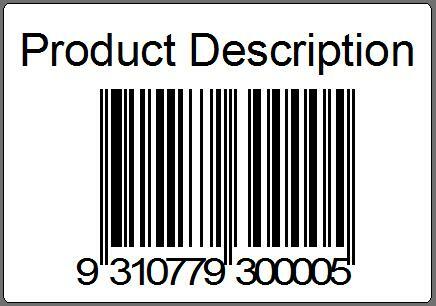 What most people do is place the large label on the beam so staff can easily see it (but never scan it), but place a second label at shoulder height that contains all the barcodes so that normal range laser scanners can read the barcode easily. So even if your warehouse staff scan the wrong barcode and don't realise, at least you are in the right isle and bay. The product is just on the wrong level. Many other sizes available upon request and we can tailor what's printed to suit your needs. 1. What size label do you need? 2. How many different product numbers? 4. Any special requirements? Freezer adhesive, removable adhesive, scratch resistant? 5. Do they need to get tested by GS1? 9. How soon do you need the labels? Email these details to us and we can organise a proposal for you quickly. 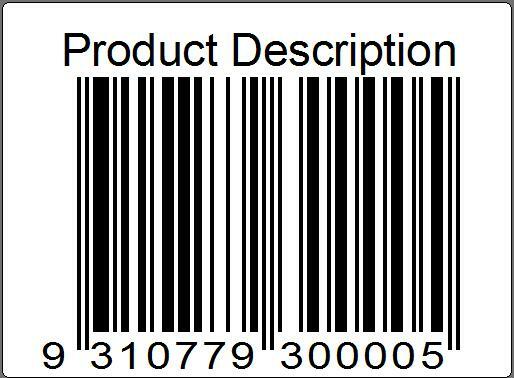 Remember, in some cases it might be better to get the barcode incorporated as part of the artwork for the product. In this situation, all you need is an EPS file (or a film master or bromide) of the barcode. We can provide this as well.